Welcome to Seth Wadley Ford Of Perry's car parts team! As the brand you can trust in your search for the appropriate vehicle component, we have all the things necessary to make sure that your repair or replacement service finishes up in no time. Digging a bit deeper, working with our crew of respected Ford components gurus means also having access to an abundance of insights and experience that you simply will not come across anyplace else. Whether you could use a bit of guidance on the correct component for the job or a little additional insight into how to get things into place, you can put your confidence in the simple fact that the Seth Wadley Ford Of Perry team of parts specialists will be ready to support you through each phase of this undertaking. Interested in learning more about why investing in OEM products from Seth Wadley Ford Of Perry is never a bad call? Then follow along with us as we delve even deeper into the advantages of offering up your parts buying needs to the customer service-oriented staff of gurus found in the Seth Wadley Ford Of Perry parts division. Prior to jumping headfirst into the particulars of why OEM components from Seth Wadley Ford Of Perry are always your top choice for repairs, it is a good idea to first break down what exactly "OEM" means. In particular, only parts made expressly by Ford, the genuine manufacturer, are permitted to lay claim to this status. 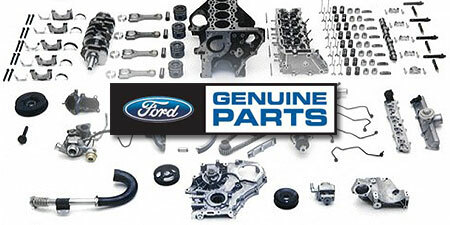 Even though other aftermarket organizations might try and pass off their offerings as sharing the same level of quality and commitment to excellence as an official OEM part, the big key here is that the OEM part certification is a distinction reserved solely for replacement parts that adhere to Ford's inflexible functionality and usefulness criteria. Is Buying OEM Parts a Wise Move? A Dedication to Quality That Is Without Peer – Ford OEM parts must proceed through an extensive examination and appraisal process before finding their way to you, so you should never have any doubts when it comes to the enduring quality and resilience of these replacement parts. Made Specifically to Handle Ford Repair Jobs – While other parts suppliers might seek to follow in the footsteps of Ford OEM parts, there is really no way around the fact that only qualified OEM parts from Ford are created exclusively with the specifications of your vehicle in mind. The Only Parts Located in Perry Produced by Ford's Workforce of Engineers – The same engineers that fashioned your favorite Ford car also laid out the foundation behind the authorized OEM parts available here at Seth Wadley Ford Of Perry, so it stands to reason that it is certainly a good call to purchase parts that come directly from this association of qualified Ford parts development gurus. Your Assurance Starts with an Outstanding Warranty – The Ford brand is committed to giving you some reassurance, so you can be confident in the promise that OEM components from this automaker come with a customer-friendly warranty that shields you and your automobile. To put everything in straightforward terms, buying OEM parts straight from Seth Wadley Ford Of Perry means making an investment in your automobile's future – and guaranteeing the job gets done right on the first try. Now that we have covered what makes OEM parts your clear choice, it is time tackle the last concern on your radar: Does Seth Wadley Ford Of Perry have the proper part for me? Without a doubt, the answer to this question is clearly yes! As you can see, when it comes to offering the men and women of Perry with access to authorized Ford OEM parts, it is obvious that Seth Wadley Ford Of Perry's stock of Ford OEM parts is head and shoulders above the competition in Perry. How Do I Obtain Ford OEM Parts from Seth Wadley Ford Of Perry? At this time, you are most certainly ready to start working toward a successful car restoration and buy the required OEM part for your upcoming projects. To get you going on with your best foot forward, you have a couple of options. First, you can always drop by the Seth Wadley Ford Of Perry parts department and have a representative from our professional Ford parts staff work with you through the details of this significant acquisition. If Seth Wadley Ford Of Perry has the OEM part you require on hand, you can take it with you immediately following your visit; for all other items, we will be ready and willing to submit your order to Ford and have the part sent to you in the most convenient fashion available. Should you wish to do things digitally, feel free to look over the OEM parts order form found on this site. After you finish filling out this simple form, a member of the dependable Ford OEM parts gurus will process your request and reach out to you to make sure that you receive the right part promptly. We appreciate you stopping by the Seth Wadley Ford Of Perry parts site and we look forward to supplying you with access to the leading selection of reasonably priced Ford OEM parts in Perry whenever you find yourself in need of a bit of assistance with an automotive repair venture.